Northern Ireland's car finance specialistApply Now In 1 Minute ! Over 10 years experience in car finance in Northern Ireland for customers with poor credit ratings, CCJ's or who have previously been refused credit. We also cater for prime credit customers with very competitive rates. Good or Bad Credit Rating? We cater for poor credit rating. So don’t worry we will try get you the car you want. We consider every individual customer based on factors that other loan companies don’t consider. LBL N.Ireland Ltd, are lenders and offer competitive rates based on your circumstances and past credit history. Yes Car Loans is the Trading name of LBL N Ireland Ltd. If your finance has been approved, you can choose your car from our Approved Dealers. Once all paperwork has been completed, and you've organised insurance cover on the vehicle, you can drive away! It will take less than a minute to make an application online. Our operators work between 9am and 5pm Monday to Friday (excluding Bank Holidays). Normally you will have a decision within 24 hours. Warning:Late repayment can cause you serious money problems. For help go to moneyadviceservice.org.uk. 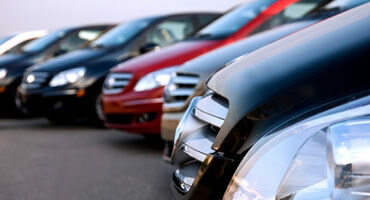 Yes Car Loans NI have a wealth of experience with car finance, spanning over 10 years. Our professional team are dedicated to sourcing and providing the best deal for you, the customer. We will look at your individual application and circumstances then source the best options and rates available. Please note: All finance is subject to satisfactory affordability and is provided by LBL N.Ireland Ltd. Yes Car Loans NI specialise in adverse credit but also cater for prime credit customers with very competitive rates. Yes Car Loans NI is a trading name of LBL N.Ireland Ltd who is authorised and regulated by the Financial Conduct Authority, registration number 680861.